Caswell-Massey Lotion, Hand Cream, Foot Cream, Body Butter | P.C. Fallon Co. 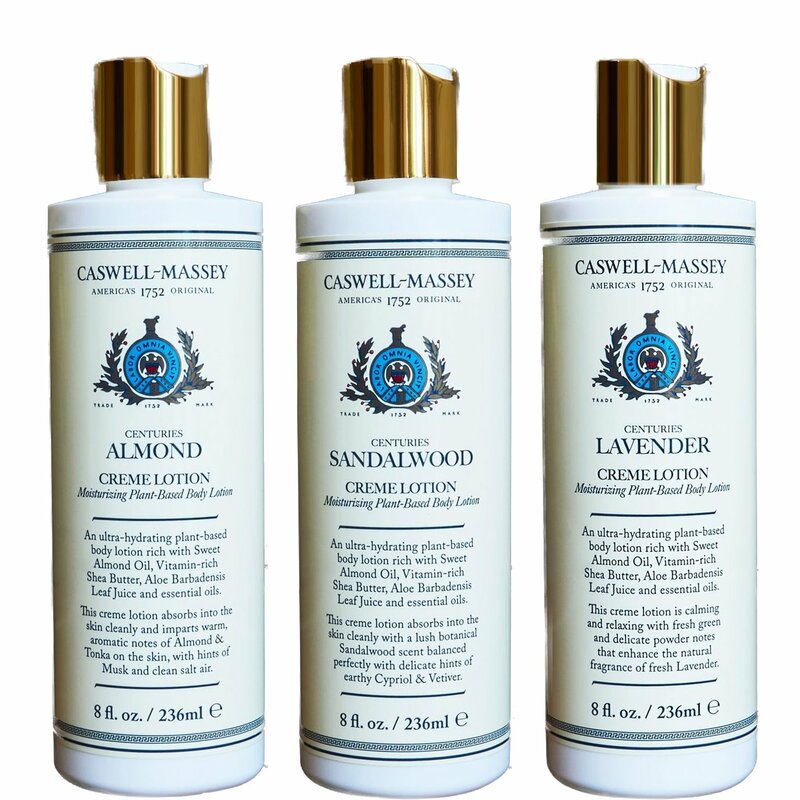 Soothe, replenish and protect your skin with wonderfully restorative lotion, hand cream and body butter from Caswell-Massey! Several classic scents to choose from, all made with all natural oils and powerful extracts to protect, hydrate and condition dry, chapped hands and restore a youthful smoothness to your skin. All Caswell-Massey products are made in the USA as they have been since 1752. We have a large selection In Stock. Try one of these storied, iconic Caswell-Massey lotions or hand creams and you'll see why they have earned devoted fans from the time of George Washington to today! All Caswell-Massey body lotions, hand cream, foot cream, and body butter are excellent. If you're looking for inspiration for one to try, perhaps choose from top selling Almond & Aloe, Dr. Hunter's, or Sandalwood.